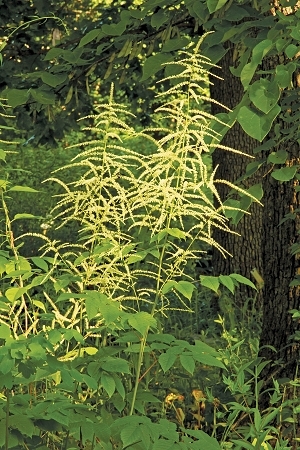 The large, feathery clusters of small white flowers and the foliage remind one of Astilbes. 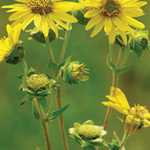 A taller plant that will be best appreciated towards the back or middle of a flower bed. Leaves turn yellow in autumn to leave a last splash of color for the year. 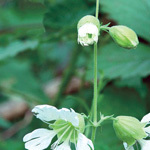 Try planting with forest species such as celandine poppy, wild sweet william, or jacob's ladder. Add some oak sedge for texture.